If you're one of the many users affected by the Cryptolocker ransomware that still haven't managed to recover their files, download Decryptolocker for free. 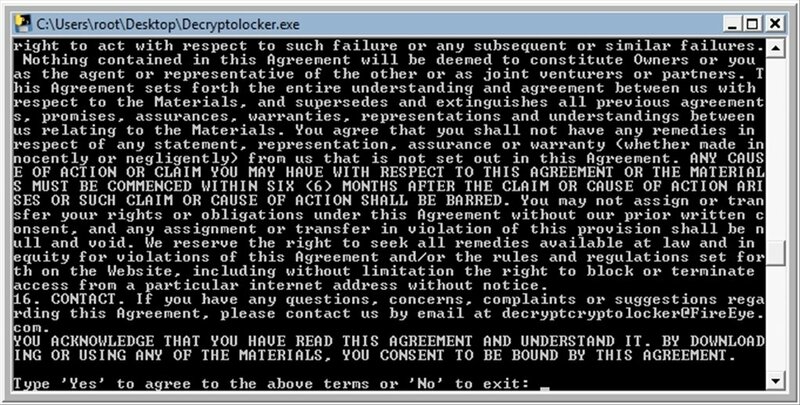 A solution to recover the files encrypted by Cryptolocker. This tool is launched from the system symbol and works together with the online tool called Decrypt Cryptolocker. By using them together you can restore the files that were encrypted by Cryptolocker. Only allows you to fix files of less than 3 MB. 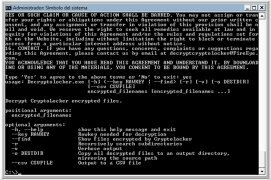 This method may not be efficient for files encrypted by certain Cryptolocker variants, as they may use other encryption methods. However, you had better try out this process before paying the ransom requested by the cybercrooks. Works in combination with Decrypt Cryptolocker.